John Calipari is finishing his 10th season at Kentucky. He revived a sleeping giant, winning an NCAA title in the process. Only one team in the country has won more games since he arrived. 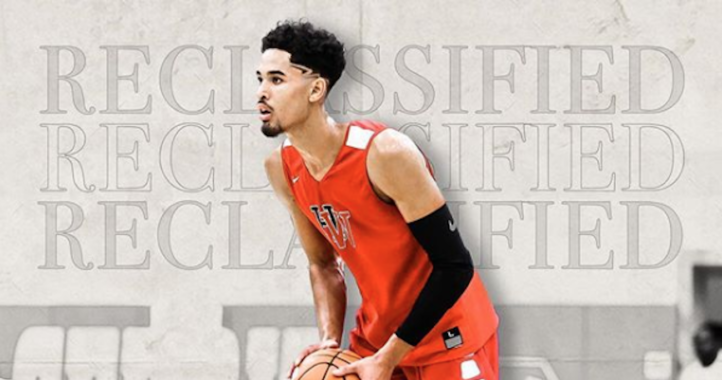 He did it his way, too, one freshman-to-lottery pick at a time. Innovator. Motivator … Top Cat. LEXINGTON, Ky. — In the beginning, there was … not much in Lexington. Yes, Kentucky basketball has long marketed itself as, to steal a phrase from Jim Nantz, a tradition unlike any other. But the Wildcats of Ralph Beard, Dan Issel, Rex Chapman, and Jamal Mashburn were ghosts. But before John Calipari came to town, the Kentucky Wildcats had become the team of Lukasz Obrzut, Mark Coury and Ramon Harris. There were four SEC Final Four teams in the 2000s — the Florida Gators three times and LSU once. In the last four full basketball seasons of the decade, Kentucky went 84-52, with an SEC record of 38-26. The Wildcat won 2 NCAA Tournament games in those four seasons. But more than wins and losses, Kentucky basketball had lost any kind of cultural relevance. Tubby Smith had become “Ten Loss Tubby.” A recruit named Tyrone Nash chose to spend a year in prep school rather than commit to Kentucky. In basketball. Billy Gillispie was brought in to quench the fire of UK fans to again be relevant. A basketball-workaholic who allegedly lived on peanut butter crackers and Dr. Pepper, Gillispie alienated his own players, his fan base, the national media, and ultimately just about everyone except the 8th-graders he recruited. Yes, Gillispie took a commitment from an 8th-grade shooting guard during his two years at UK. The aforementioned Mark Coury, a walk-on who ended up at Cornell after Gillispie went the way of the dinosaur, even became UK’s starting power forward. Yes, you read that right. The college basketball version of The Office’s Andy Bernard was patrolling the paint for one of college basketball’s most august programs. When UK failed to make the NCAA Tournament after the 2009 season, Gillispie was kicked out the coaching door. That began a brief era during which Kentucky’s Big Blue Nation actually watched a live stream of a door, apparently at the Memphis basketball offices, from which their next head coach was expected (hoped for? prayed over?) to emerge. Calipari came to Kentucky as a coach who had a reputation of 1) signing great recruits and 2) getting programs on NCAA violations. His defenders pointed out that he was not implicated in the NCAA troubles at UMass or Memphis. His detractors wondered if he could stay on the right side of the NCAA law long enough to turn around Kentucky’s program. Calipari hit the ground running, and proceeded to turn around Kentucky basketball, immediately. No longer recruiting against prep schools, Kentucky snagged Memphis recruits DeMarcus Cousins and Bledsoe, and added ace point guard John Wall. 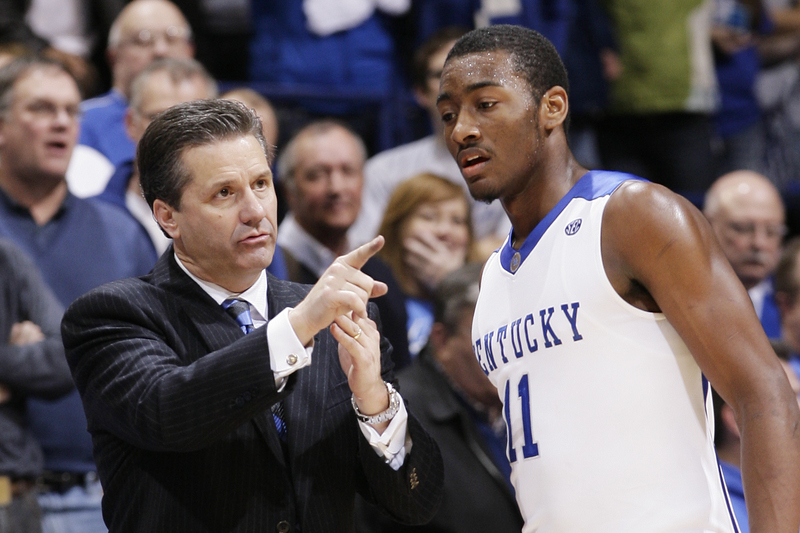 There had been one-and-done players before Calipari came to Kentucky. But nobody had done it better. At his first Big Blue Madness, Calipari unveiled Wall, whose signature dance moves, and jaw-dropping athleticism re-introduced Kentucky basketball to pop culture. Calipari unveiled his own blueprint, talking about servant leadership, compiling vast amounts of talent, and then insisting that his job was to help those players realize their dreams and goals — and if he happened to win a lot of basketball games on the way, that would be OK too. He hung out with Drake, he dropped the mic at press conferences. He was fun. Calipari’s first team went 35-3, helped Kentucky become the first school to win 2,000 college basketball games, reached the Elite Eight, parked five players (four one-and-dones) in the first round of the NBA Draft, and set the standard for everything that came after. Kentucky was back. Kentucky again was the place to be. And even if the players didn’t actually stay very long, they’d win. In a 5-year span, Calipari reached the Final Four 4 times, typically with remade lineups. Sometimes, it was relatively easy. In 2012, Calipari won Kentucky’s 8th national title, beating Kansas 67-59 in the win that guaranteed him legend status in Lexington. Months later, his two top recruits, Anthony Davis and Michael Kidd-Gilchrist, became the first two picks of the NBA Draft. It was the first time two college teammates went No. 1 and No. 2 in draft history. In other years, he built his teams slowly and somewhat awkwardly. In 2011, Kentucky was ranked No. 20 on March 1. They beat top overall NCAA seed Ohio State and North Carolina to reach the Final Four. In 2014, the Wildcats finished the regular season barely hanging in the Top 25, after losing to Florida for the second time that year. The Wildcats made a historic NCAA run, winning four games in a row in March on the strength of last-minute clutch plays, before they fell in the NCAA title game to Connecticut. 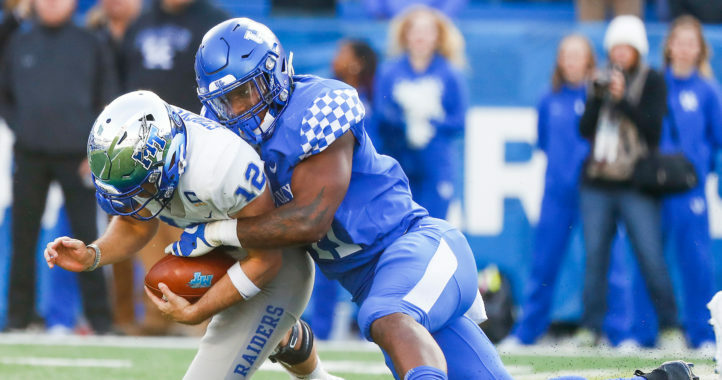 Calipari’s 2015 squad was the one that felt the most like a Nick Saban Alabama football juggernaut. Kentucky didn’t just have the best players, they had second-stringers who were better than everybody else. Future NBA star Devin Booker came off the bench. Calipari found himself talking about Communism and platooning players during an undefeated regular season. They were wire-to-wire No. 1. Most of the season, the Wildcats dealt with the burden (and expectation) of becoming the first undefeated NCAA champion since Indiana in 1976. The Wildcats arrived at the Final Four still perfect at 38-0. A shocking NCAA semifinal loss to Wisconsin stole some mojo — as did Duke’s victory over the Badgers two days later, which officially announced the one-and-done plan as not the exclusive property of Kentucky. Oddly enough, relying on one-year rental players somehow became vastly more socially acceptable when it was done by Duke than by the Wildcats. Kentucky hasn’t been back to the Final Four since 2015. Maybe that changes this year, Calipari’s 10th in Lexington. Kentucky has 26 first-round picks under Cal. That's more any college football or basketball program in the past 9 drafts. Nick Saban has 25 first-rounders in that span. 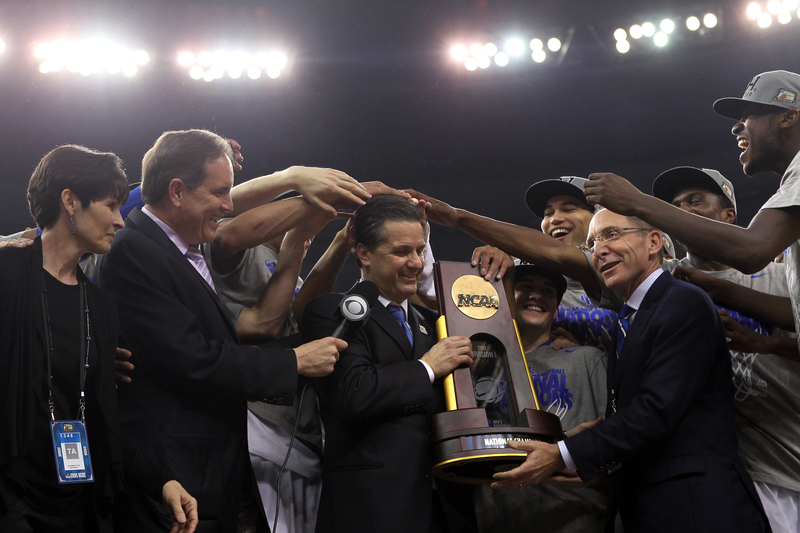 The “drought” shouldn’t detract from the culture change that Calipari brought to Lexington. Between 1949 and 2009, Kentucky had 23 first-round NBA Draft picks. 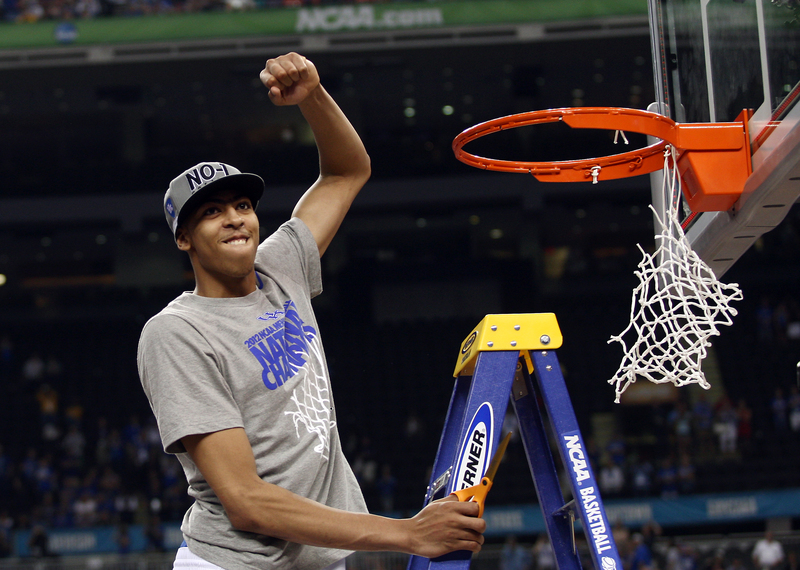 In nine NBA Draft classes in Lexington, Calipari’s Cats have featured 26 first-round picks, including Enes Kanter. That’s more than any college basketball or football program in that span, including Nick Saban’s Alabama juggernaut. Calipari has passed every Kentucky coach except Rupp in victories, and earned his 300th win at UK earlier this month. The Wildcats enter the NCAA Tournament with 302 victories under Calipari, one fewer than Kansas for the most in the country over the past 10 seasons. Kentucky won 240 games in the 10 years before Calipari arrived. Calipari made Kentucky relevant again. He also painted a fresh target on one of the sport’s top programs. 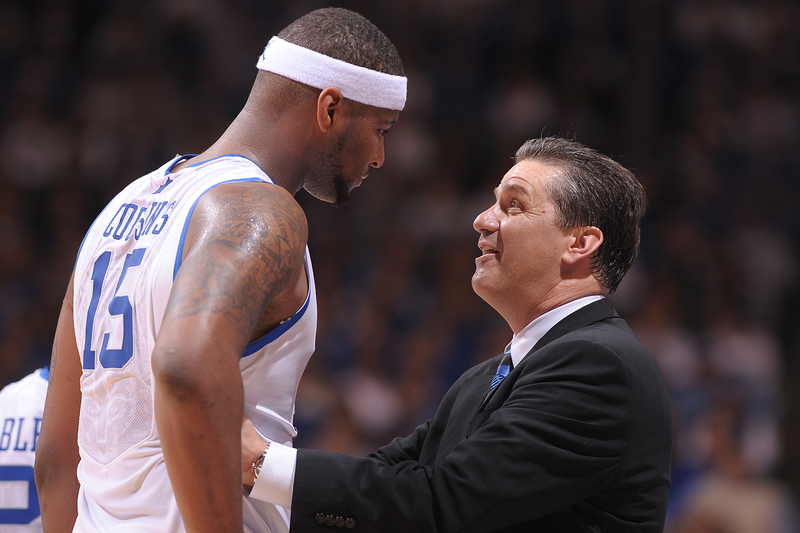 Boogie Cousins set the bar for Kentucky’s one-and-done big men who followed. Photo courtesy of University of Kentucky Athletics. Certainly, Kentucky recruits one-and-done players. By all indications, those players go to class and better themselves during their few months in Lexington. In an era in which the NCAA’s hypocrisy has become increasingly hard to stomach, Calipari has never denied his narrative or objective. Those players aren’t in college to obtain degrees, they’re there to earn guaranteed NBA contracts, and they’ve done that. And in four of nine seasons, they’ve led the Wildcats to the Final Four. Is Calipari’s hoops run equal to Saban’s football run? Well, no. Reaching the Final Four instead of being selected into it is an arduous task. That said, Dabo Sweeney shows signs of becoming the Coach K figure to challenge the hegemony of Saban’s world. But a decade of Calipari has redefined Kentucky, college basketball, and eventually the SEC. He raised the bar. Florida and South Carolina have also made Final Four appearances in the 2010s, and Tennessee and (NCAA allowing) LSU look like legitimate contenders this season. Was Calipari a game changer? If you don’t think so, look back 10 years. 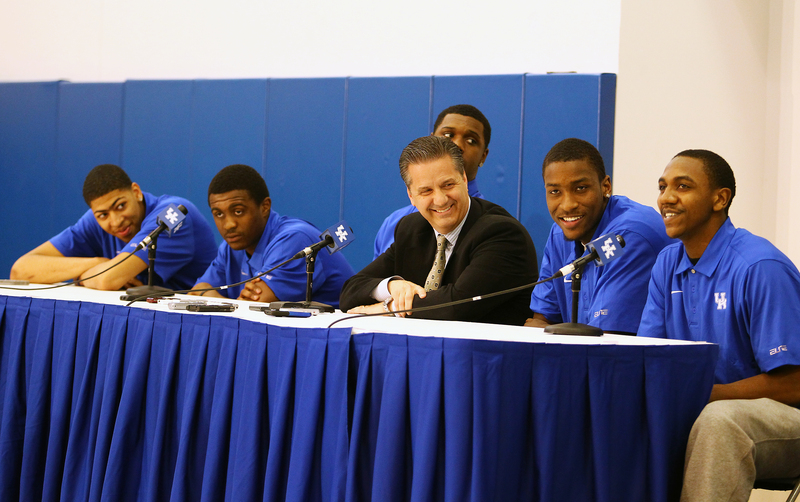 Cover photo: John Calipari’s introductory press conference. 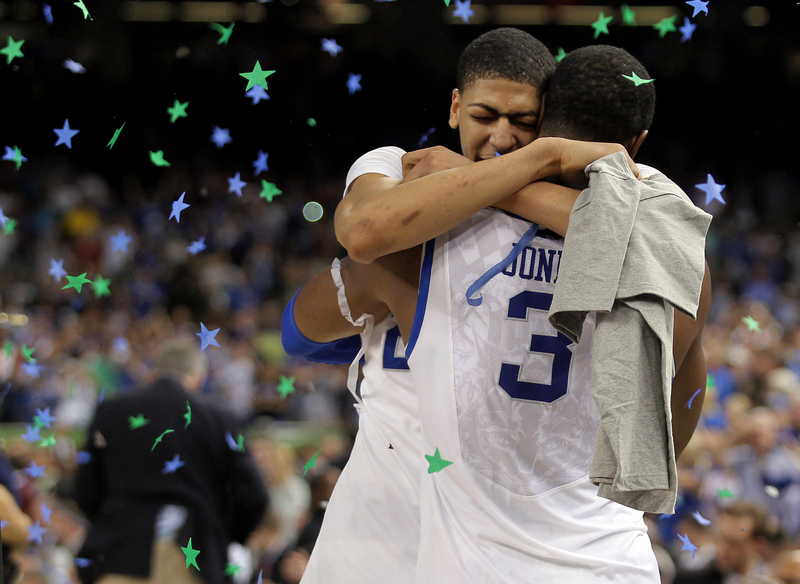 Photo courtesy of University of Kentucky Athletics. And some Kentucky fans still aren’t happy with what this guy has accomplished. Amazingly stupid. 10 million and he can be yours! Have you heard from Jimbo yet? Why not go ahead and make up the conversation with him, and tell us he didn’t want to accept the position unless YOU could be his team publicist? You really shouldn’t try and think for others. I’m not upset at all. That comment was directed at a troll pretending to be a UK fan. A Kentucky season basketball ticket holder? Where’s your seats in Rupp? And I image there are a few who actually would rather win national championships and could care less about the NBA. Surely, you can make up some fact for us all to be amazed about. Yes. This clown and obvious fraud. LSUABC is a LEGEND on SDS. He personally got to discussions shut down because of his racial comments. And he personally knows Jimbo Fisher didn’t take the LSU job because they didn’t offer him a 10 year contract at Baton Rouge. AND, he personally read I said I am a Louisville fan. He can’t find that post but instead of admitting he’s lying, isn’t that a harsh word? I told him all he need to do is admit it but he would rather continue with new lies and hope no one will call him out. Currently he is searching for the phantom post about me, trying desperately to find ANYTHING that will vindicate him on the false Jimbo Fisher lie and waiting to bash black athletes for exposing their feelings. He’s a joke as anyone fan, but hey, he’s the one that opens himself for ridicule so, thank you LSUABC! Will he retire when they can the one and done or jump to the NBA? Regardless of what he thinks is best for the players, he wouldn’t have had half the players he did without the rule. I’m betting he would jump to the NBA. And he’s officially on the record he wants the players to play for the name on the back of the jersey and not the school named on the front. Or maybe the writer isn’t old enough to remember the pickle Eddie Sutton and his staff mailing a package of money to a recruit. Two year ban from the Big Dance, and then taking a bunch of nobodies plus Mashburn and pushing the eventual Nation Champions to over time in the regional final. Yep, Ole Cal saved Kentucky basketball for those who can’t remember Kentucky basketball history.